← Frank Bruni’s in Princeton and I’ve Got Him! I also have a new, additional gig as the first ever restaurant critic for the Montgomery News, the hometown paper serving that Somerset County town and Rocky Hill. Here’s my review of the fairly new, unfortunately named, and already re-conceptualized Pind, from the April issue. And from the April issue of New Jersey Monthly (that’s how remiss I’ve been!) be sure to check out this feature on NJ’s great lakefront restaurants. (After all, why should the Jersey Shore hog all the attention?) I contributed the entries for Central NJ, and I’d like to hear from you if I missed any good ones. This entry was posted in Restaurants and tagged Bloomfield NJ restaurants, Kingston NJ restaurant, Montgomery News, New Jersey Monthly, The Pind, waterfront restaurant in NJ, Yellow Plum restaurant. Bookmark the permalink. 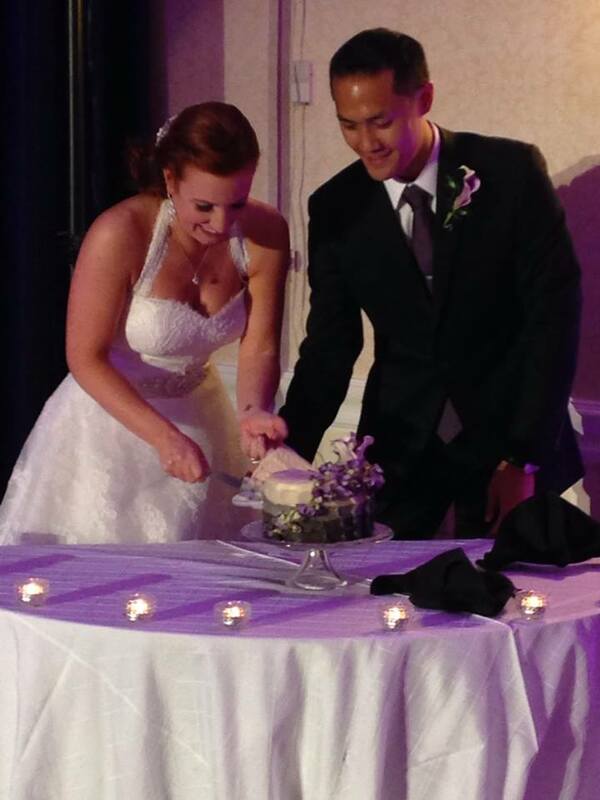 Beautiful picture of your daughter and new son in law. I’m sure you are very excited! Mazel Tov, Pat and Bill! I know it was a beautiful wedding. Thanks, ladies! The wedding could not have gone better and we could not be more thrilled. Our very best wishes to all your family at this very happy time. I am sure the wedding was delightful !! Thanks, Linda. The wedding truly was a delight, and we are thrilled to welcome Chris into our family. Pat, happy to know that Pind is Palace of Asia, which I always enjoyed to the hilt. I know nothing of Indian food except what they taught me, and found a certain elegance in its setting and foods most welcome. Had no idea what Pind was, but eager to try what it is. Best to you, in whatever land’s cuisine you may be wandering.